• Trees are dormant over the winter, so pruning wounds will only be exposed until new growth begins in spring. • There are fewer diseases present to enter wounds. 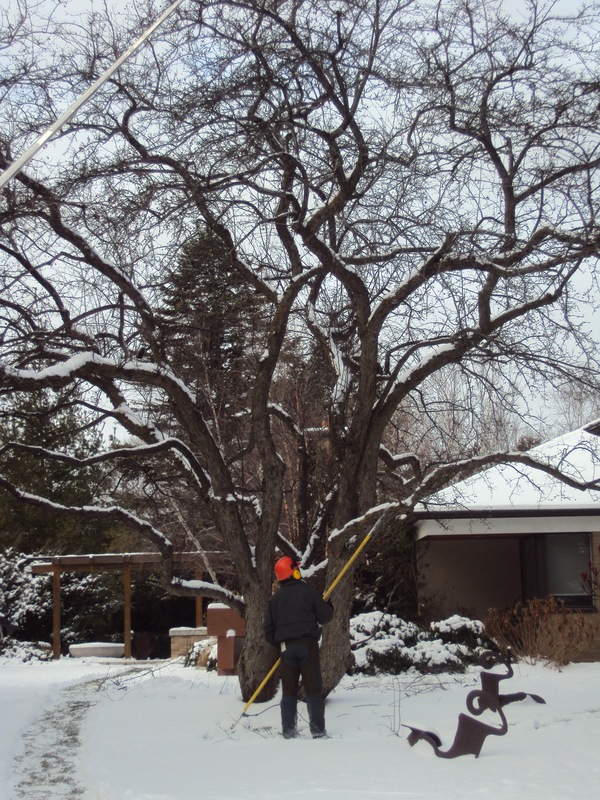 • Tree structure is more visible in the winter, making it easier to see and attend to potential problems. • Winter generally represents a slower business season and prices can be lower. One common question we get is how do we know which branches are dead if there are no leaves on the tree? There are telltale signs our climbers look for when trying to distinguish dead from live branches. Loss of bark, presence of certain types of fungi, and lack of buds are all indications that a branch is dead and should be pruned. Of course there are always several winter storms each year that cause damage to trees which must be attended to immediately. On the other hand, you should also consider the winter season a suitable time to take care of the general pruning needs of your trees.